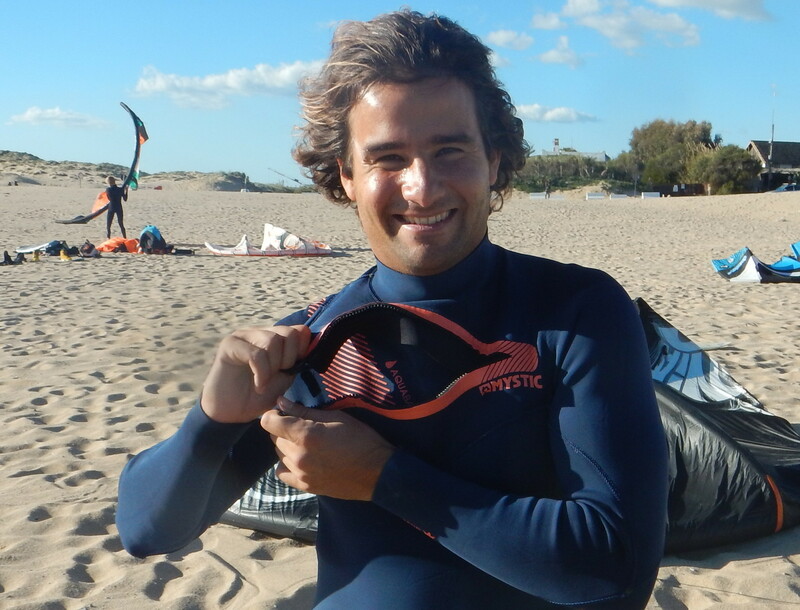 When we were heading for Tarifa (Spain), the playground of Alvaro Onieva, we felt honoured to be able to test his prototype of the Clash Reincarnation 2.1, the follow up of our most favourable twin tip from 2015. And yes, the 2.1 was as good as we hoped for and still with the same astonishing low price. We also had a little interview with Alvaro after the test. Clash is a small brand from Tarifa which only makes twin tips. The person behind Clash is Alvaro Onieva (former competeer in the freestyle world tour). 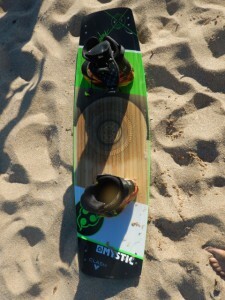 It is a tiny player in the kitesurf industry and the boards are only sold online. 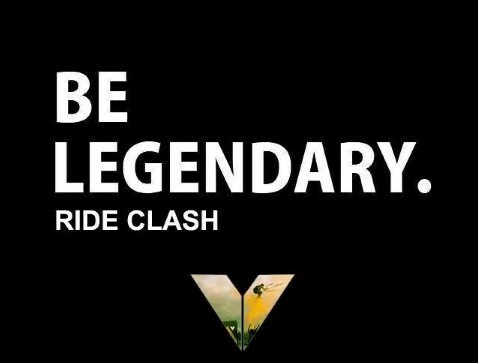 Alvaro and his team successfully give the brand Ride Clash a bit of a mythical touch, which is explained on the Clash website. In Tarifa a lot of locals are riding the Clash (recognizable by the big scull head on the back of the board). Most of them really pushing it and belong to the best riders of Europe. Alvaro and his team put their hearts and passion for the sport in developing a board which works best exactly as they like to have it. They explain this with expressions like lead and not follow and that the board is made in heaven, which is written on the board. With stickers all over their cars and vans we know that the Tarifa locals are proud of the Ride Clash feeling. To see what the board is like we tested the 2.1 Reincarnation and we interviewed Alvaro. 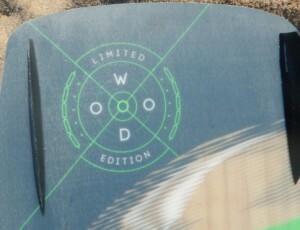 Both versions have 3 sizes. The 2.1 version is from 134/137/140, the 2.0 had 134/136/138cm. When we tested the 2.0 version in 2014 (the biggest size, 138) the main issues was that this biggest version is too small for riders roughly >90kg/1.90cm. By extending the range between each size board with 1 cm, the biggest 2.1 board is now 140cm. This will make things a bit more accessible for the bigger riders among us (Spanish people are not known to be the tallest in the world, on the contrary). Our guess is that a rider above roughly 95 kgs (certainly on boots) will still find the 140 board a bit small in light winds. The second point some riders (again the one with bigger feet) found the pad&straps on the Clash 2.0 a bit typical. It gave a very soft feeling and in a hard crash the strap would (partly) open up. We understood the pads and straps are replaced by another brand on the 2.1 version, but we did not test it since we rode the 2.1 with boots. The shape of the board hasn’t changed much. It still has 2 concaves halfway trough the board. Its shape and physical lay out haven’t changed much. The looks are less flashy than the 2.0 version and a bit more modest (and less outstanding from other boards as the fluorescent 2.0 version was). The skull is still there on the bottom of the 2.1 version and it still says it is made in heaven. We could ride the 137cm 2.1 prototype a couple of hours fully powered up on a 7m (25+knots) with moderate waves and a lot of chop. We also used the Airush Livewire 2016(140cm) and the Clash 2.0 version (138cm), all fitted with boots and wakestyle fins. The clash 2.1 was equipped with Ronix Frank boots (2015). The Ronix boots where not an object of this test but certainly a nice surprise since they where very comfortable and much softer than -for example- the (brand new) Reefer boots on the Livewire. (medium) rocker but íf you like that, you will love the Clash board. The Clash is surprisingly comfortable at top speed and not as bouncy as the -even faster- North Jaime. The Jaime however will beat the Clash in going upwind. It is not bad at it, but it just isn’t a specific wonder board for going upwind. The Clash 2.1 has a great pop, more than the 2.0 and comes close to that of -for example- a F-one Acid. The 2.1 is also lighter than the 2.0 and is a bit more aggressive and responsive. The Clash with its -as far as we can judge- bomb proof build makes it a freestyle dream weapon but also a huge jumping machine with landings without breaking your back -if you are a bit experienced- and won’t limit you in any way. One more thing that is something specific from the Clash;The Clash just cuts through the chop whileother boards -more curved- like the Livewire, which is totally the opposite in this matter and sort of rolls over the chop instead of cutting through. This works well in both ways, but on the Livewire there is more action needed from the rider (actively moving the legs) while the Clash just needs strong and firm, pushing legs. The closest board that comes to the performance of the Clash 2.1 is the North TS which comes at a whopping price of 999,- euro (excluding pads&straps) and still will not be as much on a track as the Clash. You will also save enough money to buy some really nice boots which the Clash deserves. A board from a small brand which will surprise a lot of people in a positive way and -to our opinion- is clearly better than the majority of the production boards from the bigger brands. A welcome surprise which we haven’t seen yet with any smaller kite brand. The Clash Reincarnation 2.1 should be ready to be ordered from the website from the 5th of January 2016. 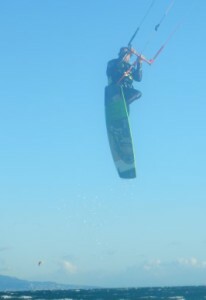 Alvaro Onieva used to be in the major freestyle competition until 2008 and is sponsored by Mystic and Wainman Hawaii. Basically he is a very experienced rider and is still riding as much as he can. We had a chat about his Clash boards at the surf bar Stoked in Tarifa. WTK: Alvaro could you tell us something on the testing of your Clash boards? We have a team, mostly in Tarifa, which get 3 or 4 times a new prototype for testing. Each time we discuss the performance and see what should and what shouldn’t be changed. Since the North factory in Austria was closed (the 2.0 is from the North factory) we decided to work with the Polish Nobile factory. Poland is not that far from Spain so we can have quite quickly some new prototypes for further testing. WTK: Why call the new Clash the 2.1 and not 3.0? We were really happy with the 2.0 version. So where our customers since we sold most of all our boards. The differences from 2.0 to this version are therefore not that big so we decided to call it the 2.1 instead of a 3.0. 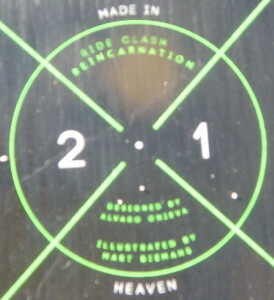 WTK: There is no carbon in the Clash Boards. Why not? Quite simply since it will break. We tried some prototypes with carbon, but the boards with carbon would just break while testing them. good choice. I would discuss the size with the owners of Clash. I just used the medium, so I can only guess. 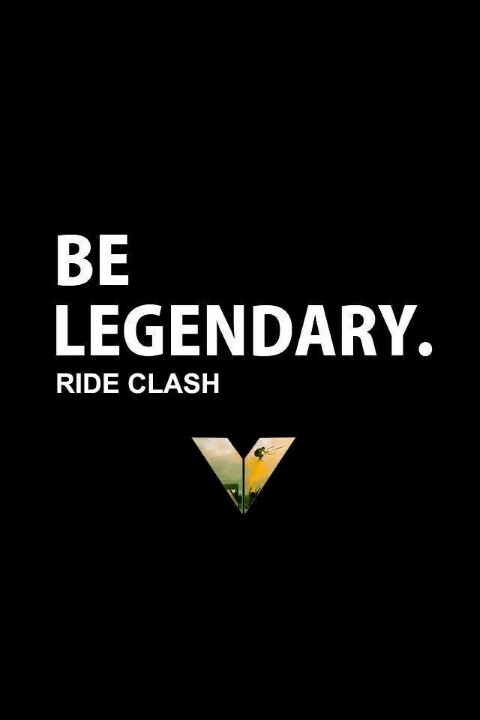 mail them at info@rideclash.com. Good morning guys, and thank you for your comprehensive review. I’m interested in purchasing this board but I’m not quiet sure about the size it’s more suitable for me. I’m 182cm high and ranging from 81 – 85 kg and I prefer riding with straps and pads. So, medium or large? I’d really appreciate your opinion!! !